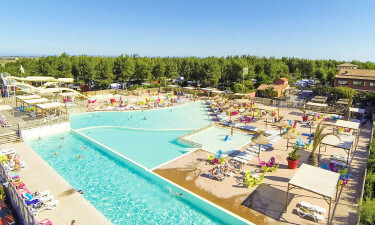 The charming holiday camping site of Les Méditerranées Beach Garden is perfect for those who hope to experience a relaxing excursion away from home. 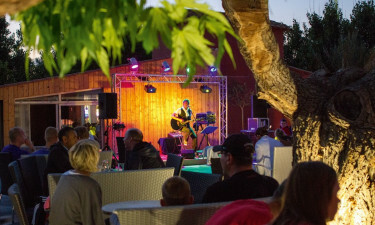 Les Méditerranées Beach Garden is a luxury camping site that offers something for everyone. Should you wish to learn more or if you have booking enquiries, Lux-Camp can be contacted to answer any additional questions. What Makes this Luxury Camping Site Ideal for My Holiday? 3-star camping at an affordable price. A fun water park for the entire family. Finely furnished cottages located only minutes from the beach. While this location can undoubtedly be defined as a luxury camping resort, visitors here will be pleased to know that they have the opportunity to remain quite active during their stay. Options such as sea walking, toning water aerobics, "aquabiking" and Zumba classes are all possibilities. Sports including volleyball and tennis are likewise available for those who wish to stay in shape. 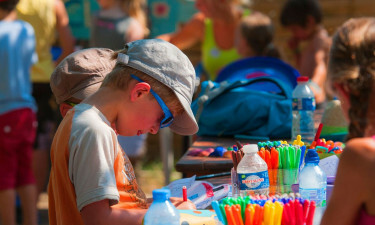 Although parents will love the large wellness centre and the privilege to relax underneath the welcoming sun, Les Méditerranées Beach Garden understands that camping luxury must address the needs of children. Daily activities such as the water park, a miniature club and even an open-air disco are all great ways for any child to enjoy their stay. No camping holiday would ever be complete without the ability to dine out in luxury. Le Bistro is a dining establishment that can be found straddling the azure blue waters nearby. This view is then complimented by 4-star cuisine that reflects the unique palate of the Languedoc region of France. However, international dishes can also be ordered. For an after-dinner aperitif, a bar known as Nouvelle Floride will not disappoint. It has the capacity to hold up to 600 patrons and evening shows can be enjoyed with a tasty cocktail. There is a store that supplies freshly baked bread within the campsite. For those who require groceries, the nearby villages of Marseillan and Sete will be able to accommodate nearly every need imaginable. There is also an on-site market that provides souvenirs.